Oh, how I have loved having all the fresh tomatoes this summer! There are a few things I crave when I know a fresh tomato is in the house; one is a BLT on sour dough bread. I took care of that craving a couple weeks ago. 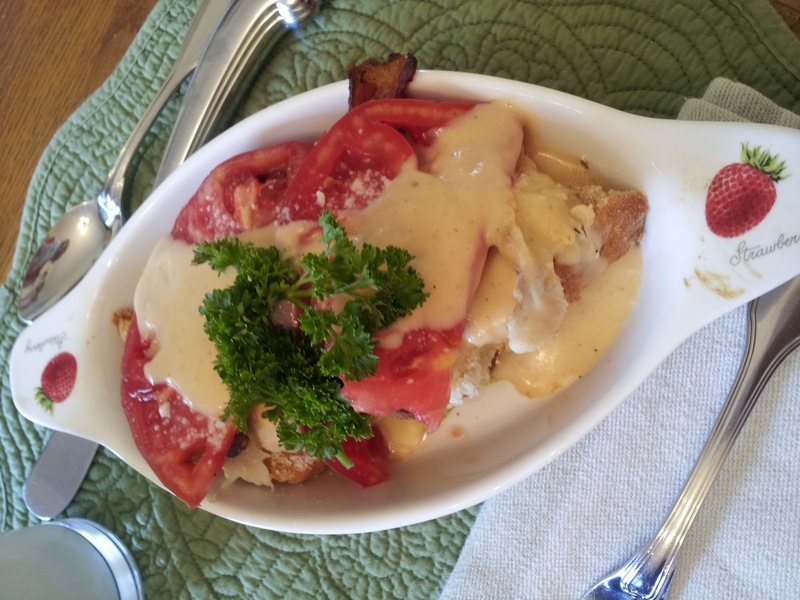 Another yummy dish is a Kentucky Hot Brown. If you’ve never had one, think of it as a BLT with turkey slices and cheese sauce added. It is heavenly! As you can imagine, however, it is a little on the fattening side. They have a lightened up version of this yummy Kentucky favorite, and it’s just as good as the more fattening version. Okay, even if you don’t have fresh tomatoes lying around, go buy a tomato somewhere and make this for supper! I had roasted a turkey breast a couple weeks ago and stored slices in the freezer marked, “Turkey Breast slices for Hot Browns.” So, this recipe was in the back of my head for a few weeks! To prepare sauce, melt butter in a saucepan over medium heat; stir in flour, salt, paprika, and pepper. Cook the mixture 30 seconds, stirring constantly. Gradually add milk, stirring with a whisk. Cook 3 minutes or until thick, stirring constantly. Remove from heat. Add cheddar, Worcestershire, and mustard; stir with a whisk until smooth. Keep warm. Arrange toast on a large baking sheet. Arrange turkey evenly over toast. 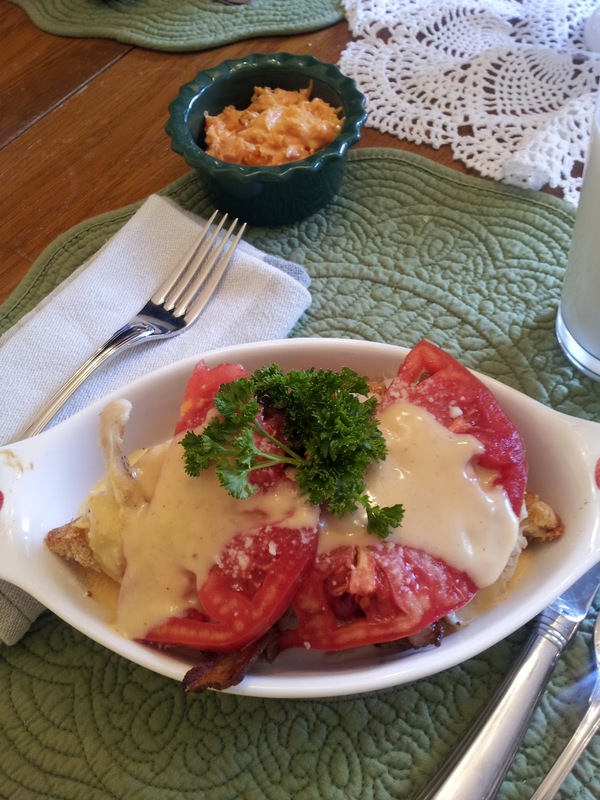 Drizzle sauce evenly over turkey; top each toast slice with 1 tomato slice. Sprinkle evenly with bacon and Parmesan. Broil for 7 minutes or until thoroughly heated and lightly browned. Serve immediately. What’s your favorite way to eat fresh tomatoes? I literally wanted to reach into my screen and get a bite of that hot brown. Yum!!!! Definitely looks healthier than the hot brown at Ramsey's! It was really yummy and you don't miss a thing that Ramsey's would add!